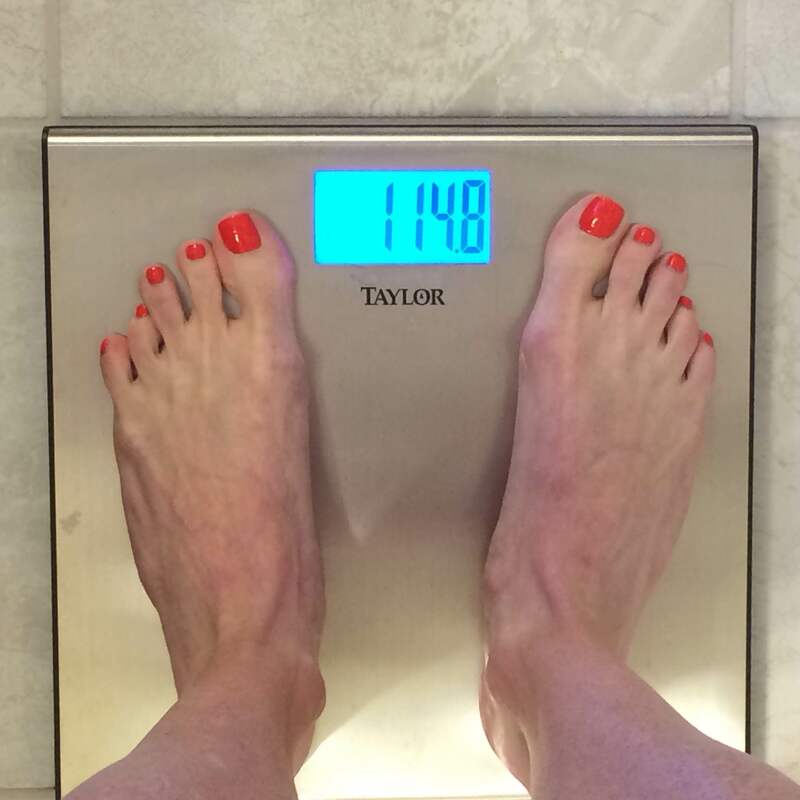 My September 24, 2015, morning weigh-in. In preparation for the Big Cottonwood Marathon that I ran two weeks ago, I decided to set a goal to try and run at my ideal racing weight. To do this, I first had to determine what my ideal racing weight was. I learned that I have a small frame structure. I have run races at 123 (and higher) and I ran this most recent race at 118 and I can tell you that I felt the difference. I mean, I really felt the difference. 118, definitely was a golden spot for me. In the space of two months, I took 7 minutes off my marathon time and attribute much of that success to shedding some extra pounds. Being lean and light put less of a burden on my joints keeping me pain-free throughout the Big Cottonwood Marathon and decreased my post-marathon recovery time. It helped me keep my running form intact throughout the race, and improved my overall marathon experience—substantially. I have recently shed a few more pounds—still within a healthy weight range (110-144) for my height and frame—and feel like I am flying when I do my training runs. I also don’t find myself tiring as quickly even though I’m running at a faster pace than I usually do. I KNOW that you don’t have to be a certain frame, or a certain weight to be a great runner or a fast runner. Lighter and leaner just feels better for me. It is exciting to see some real changes happening from my consistent efforts. Keeping my weight down and losing weight is not easy for me. Believe me, I have to watch what I eat and I track it daily on MyFitnessPal.com, but the results of feeling like I’m running my body vs. my body running me are empowering. The body experiment continues. . . .